Steven (Chicagoland, United States) on 11 May 2011 in Animal & Insect and Portfolio. 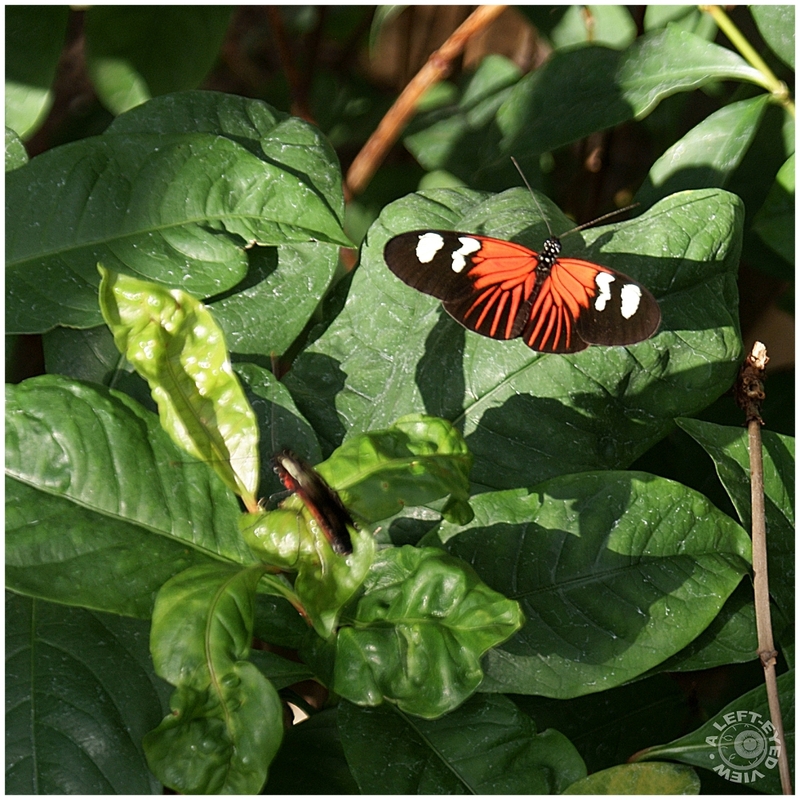 A tiger longwing butterfly (Heliconius ismenius) (or is it a vibilia longwing?) spotted at the Peggy Notabaert Nature Museum in Chicago, Illinois. Photo captured on April 5, 2011. I love the radiant light - and great composition with the butterfly set against the layers of leaves. Terrific colours in this shot, wish I knew a bit more about flowers and insects. If I like them I shoot them! @Curly: I'm no expert. :-) I have to admit that the Peggy Notabaert Nature Museum had two "cheat sheets" showing the many types of butterflies in the exhibit with their names and class. I took photos of those so I could identify them later. beautiful compo and amazing drawing on the wings of this butterfly! very well seen and captured! Hi Steve - Yes someone mentioned the light and I agree...the light is amazing in this image! JUst beautifully concentrated on the Tiger Longwing etc etc.. Serioulsy, he is a very beautiful butterfly!And the contrast between his colors and the light and those gorgeous leaves all goes together to make just a wonderful scene here!These are some of the things that I DO like about spring and summer....Beautiful job, Steven! I'd really like to have similar wildlife here! Very nice! The light and details are fabulous in this! Stunning colors too! Well done on this image, Steve!!! The beautiful butterfly provides such a contrast against the leaves. Lovely composition.